Rosatom’s efforts to help save wild species of endangered animals are not just restricted to the Wild Edens TV series. The company has spent over half a billion rubles since 2009 ($8 million) on various national parks, preserves and research related to endangered species. Here’s an overview of some of the most beautiful creatures these efforts have tried to preserve. A rare and nearly extinct subspecies of leopard, the Amur leopard (Panthera pardus orientalis) roams the snowy hills and plains of Russia’s Far East. Numerous factors – including environmental changes, human activity and poaching – have given it the dubious honor of being the world’s rarest cat. Its current numbers in the wild are estimated at between 70 and 80. “There’s still a lot of work to be done in order to secure a safe future for the Amur leopard,” Barney Long, who leads Asian species conservation at the World Wildlife Fund in the United States, told CBS News. That’s why Rosatom has contributed to efforts to preserve and research these majestic creatures. Russia’s government has prioritized saving the Amur Leopard. In 2012 the Land of the Leopard National Park was established in Russia’s Far East with a total area of 2,800 square kilometers (nearly the size of the US state of Rhode Island). More recently, a special tunnel was constructed near the border with China to ease the Amur Tiger’s migration patterns amid human encroachment on its ecosystem. The 1973 Agreement for the Conservation of Polar Bears has helped them recover over the last decades, but scientists fear their numbers may again by declining in certain parts of the world due to climate change. Tourists aboard a cruiser offshore Russia’s Wrangel Island last year were treated to the unusual spectacle of 200 polar bears simultaneously feasting on a giant whale carcass that had washed up ashore. Declining ice sheets have led to increased bear numbers on land, explained the Director of the Wrangel Island Nature Reserve (where the incident occurred). 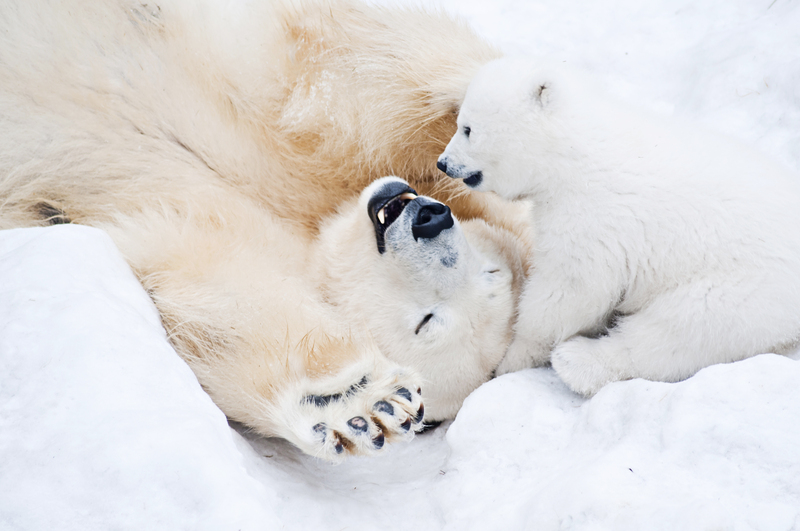 Rosatom has contributed to researching polar bears in the Russian Arctic to see what efforts can be made to keep their numbers up. Not all currently endangered creatures are furry or based on land. Rosatom has also contributed funds to researching the Beluga whale in Russia’s far north. While its hunting by humans has been almost entirely banned since 1973, the Beluga whale is, too, a victim of human activity and climate change. Traditional threats like water pollution and boat collisions have been compounded by receding ice sheets, which have forced the whales to dive longer and deeper for sustenance.